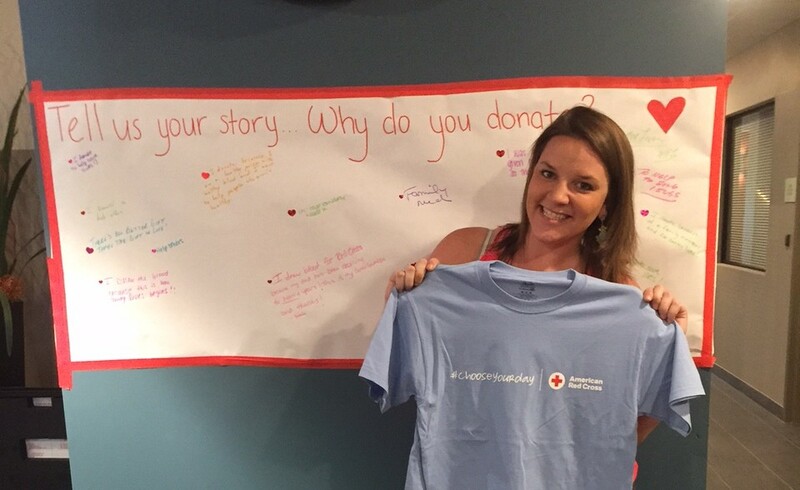 Did you know that donating up to one pint of blood can help save as many as three lives? According to the American Red Cross, someone in the United States needs blood every two seconds, which requires 41,000 pints to meet that demand. An estimated 38% of the population is eligible to donate, however less than 10% go through with the process. Blood is vital for survival and is a medium that cannot be manufactured – the blood supply that donors provide to the patients in need solely comes from the generosity of others to help someone else live the healthiest and longest life possible. 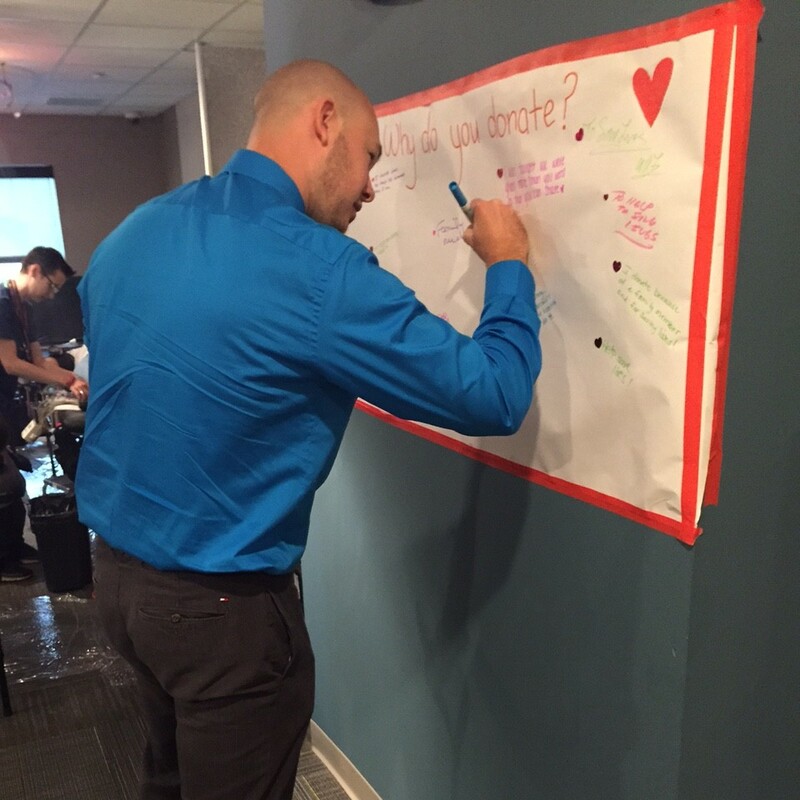 In the beginning of September, College Suites at City Station, located in Troy, NY, took part in making a difference. City Station opened their doors and allowed the American Red Cross to come in to set up the necessary materials and stations in order to draw blood from walk-in donors for an afternoon. They filled the second floor lobby of City Station East with their registration stations, multiple pre-screening booths, and the beds where the retrieval of blood takes place. United Group took an idea and ran with it. 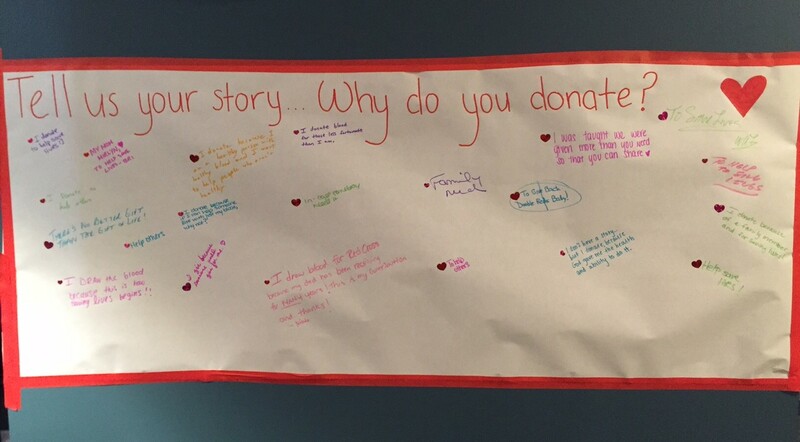 We decided to dive head first and investigate: why do people donate blood? What prompts one person to participate in this selfless act compared to the next? Do they know someone who has received the benefits? Do they have a rare blood type? We decided to add a pit-stop into the typical donation rotation. 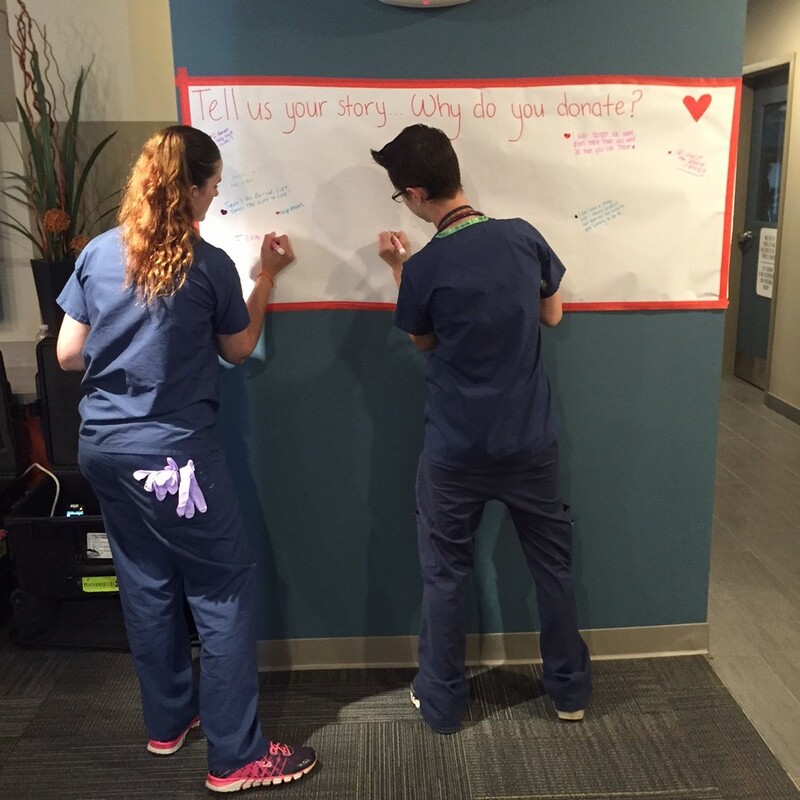 After volunteers passed through the initial screening process, we asked them to pick up a marker and write on the wall to answer a single question: “Why do you choose to donate?” The variety of answers was touching. 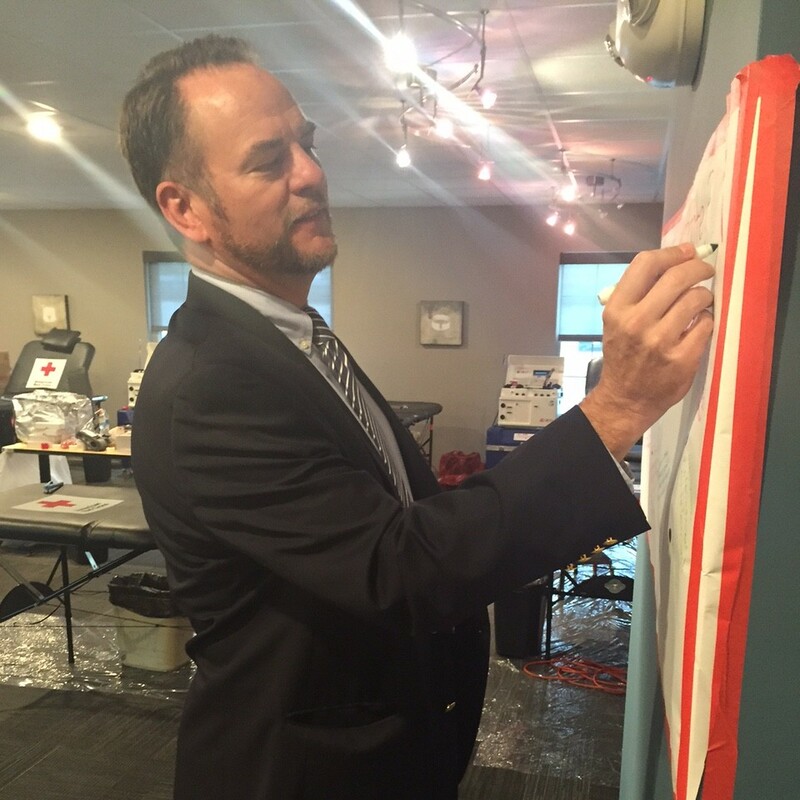 Not only did we receive donor participation, but we asked the American Red Cross nurses to take part in this, too. Some of the nurses shared that they aren’t able to donate blood for various reasons, so instead, they chose to write about why they got involved in this field. We also had United Group employees donate blood! Some even came down from the corporate office to support the great cause. United Group would like to thank everyone who chooses to donate blood and those who get involved in other ways. It takes people to save people, so let’s come together and help save lives one donation at a time. *Information within the first paragraph is attributable to the American Red Cross website.